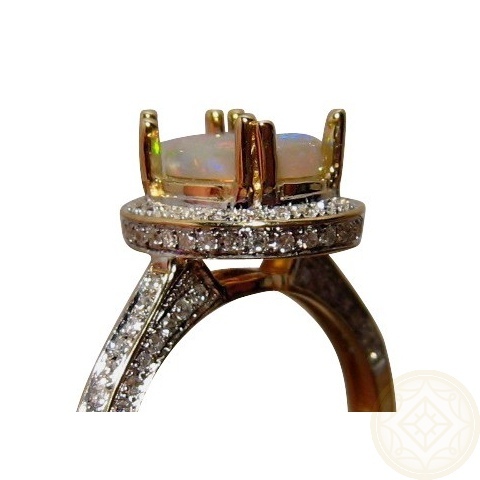 A colorful Opal ring in an elegant design studded with bright white Diamonds ideal as an Opal engagement ring. In stock and ready to ship. 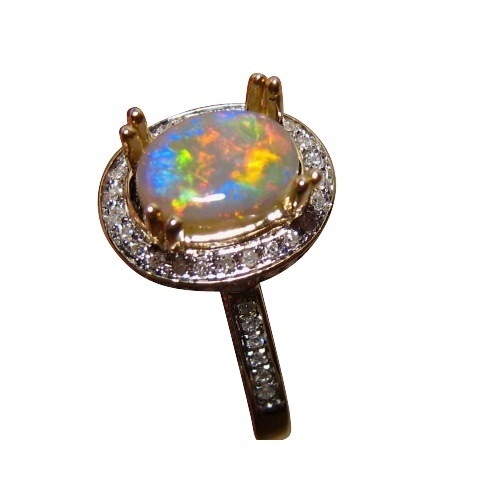 A beautiful Opal ring with a colorful oval Lightning Ridge Crystal Opal accented with small quality Diamonds. The Opal is accented with a halo of Diamonds with Diamonds around the side of the mount and down the band to about half way adding plenty of sparkle to the ring. 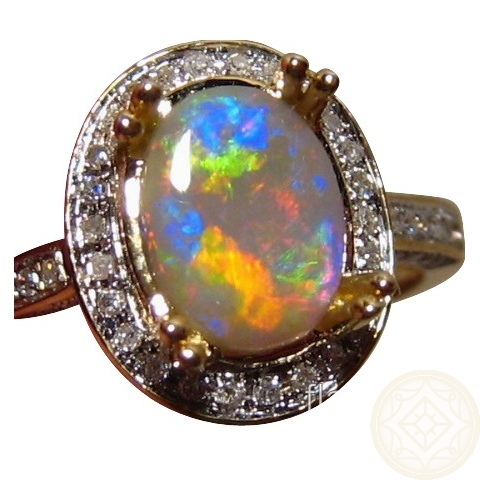 This is an elegant ring design for any time wear and would be an affordable Opal engagement ring. It is ready to ship as advertised or will take 14-21 days for any other ring size or change of Gold color.